General Pershing had a deep interest in the St. Mihiel Salient by the time his expeditionary force had begun to arrive in great numbers. He saw the St. Mihiel-Metz corridor as the royal road into Imperial Germany and had it assigned as his main operating and training area. In 1918 he started sending a number of his divisions to the St. Mihiel Salient to train. The deployments of the First ("First to Fight") and the 26th (New England National Guard) around Apremont and Seicheprey were particularly notable. First Division was Pershing's model unit and many of its officers would hold key commands and staff positions later. Like with the others divisions assigned to the Salient, they began to learn the business of modern war and gained respect for the skills of the German Army. These lessons were passed on through the entire AEF as key staff of the division were given commands of other divisions, corps, and the Second U.S. Army. up the largest-scale fighting by the United States since the Civil scale War. An independent American army was now feasible. The United States First Army became operational on 31 July and was assigned to take over the St. Mihiel sector to launch an offensive. Pershing's First Army headquarters moved to Souilly just west of the St. Mihiel area on 13 August. The concentration of troops for the operation started almost immediately. Subsequent negotiations between Foch and Pershing resulted in tabling any follow-up attacks through Metz into Germany. Pershing was forced to compromise on his hope to fully exploit the Salient and promised that the St. Mihiel attack would be followed two weeks later with a major assault launched between the Meuse River and the Argonne Forest. The Germans suspected that an attack in the Lorraine was being prepared but believed that it would not take place until late in September. 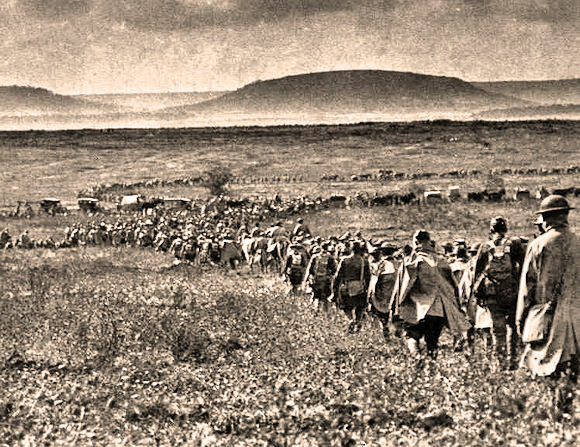 In anticipation of this attack, and to shorten their front line because their reserves on the Western Front were being depleted, the German High Command issued orders on 11 September for a gradual withdrawal from the Salient and the destruction of all things of military value that could not be moved. However, heavy rain was moving into the area, so most of the withdrawal was not initiated. The rain also masked the last-minute movement of the U.S. troops into attacking positions. An intense bombardment of the hostile positions began at 0100 on 12 September and lasted for four hours. At 0500 the infantry of the main attack on the south face jumped off. The attack in the forests of the Meuse Heights was launched three hours later. 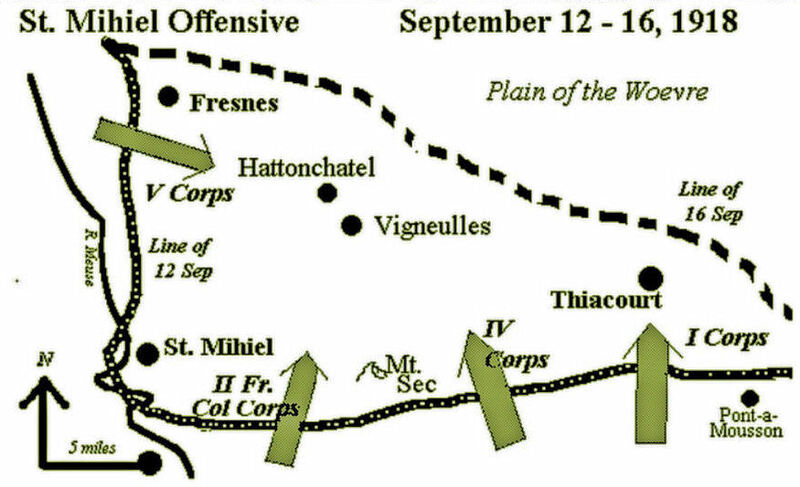 The offensive concept for St. Mihiel was that these two attacks would converge up as soon as possible, cutting off the Salient and trapping most of the German defenders. Thanks to additional artillery furnished by. the French, the First Army had nearly 3,000 guns to support the attack. French and British port reinforcements brought the total number of airplanes up to nearly 1500, which was the greatest concentration of air power up to that time. As a limited offensive, the St. Mihiel operation would be a striking success. The First Army took 15,000 prisoners and 257 guns at a cost of about 7,000 casualties. The success was based on the tactical surprise that was achieved and of particular note was American know-how applied to wire- cutting. One division had purchased every wire cutter they could locate in the town where they were posted before the offensive was launched. BG Douglas MacArthur During the Offensive—Many of America's Key WWII Leaders Played a Role in the Battle: Marshall, Patton, Stilwell, etc. However, the operation had not succeeded in bagging as many of the 65,000 German troops in the salient as it might have. The German commanders ordered the planned-for withdrawal expedited as soon as they realized a major assault had been launched. The American divisions with the job of closing the Salient, however, had all advanced readily to their first-day objectives (short of closure) and halted. The result was that thousands of German troops slipped away the night of the 12th and morning of the 13th. 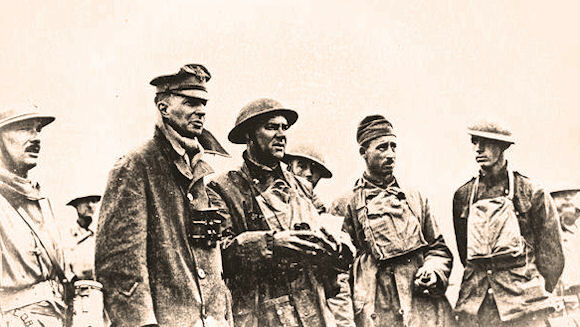 It would be 0200 on the morning of 13 September when elements of the 26th Division reached the closure point, Vigneulles on the western edge of the Woëvre at the foot of the Meuse Heights. At dawn, a patrol of the 1st Division approaching from the south met them. This marked the closure of the Salient. A general push toward Metz followed for the next three days, when a halt needed to be called. Another offensive was to be launched west of Verdun in less than two weeks and needed attending to. Thus, the strategic opportunity to press on toward Metz in the German Army's most vulnerable location was passed upon for the time being. The more experienced American divisions were eventually sent to the Argonne. 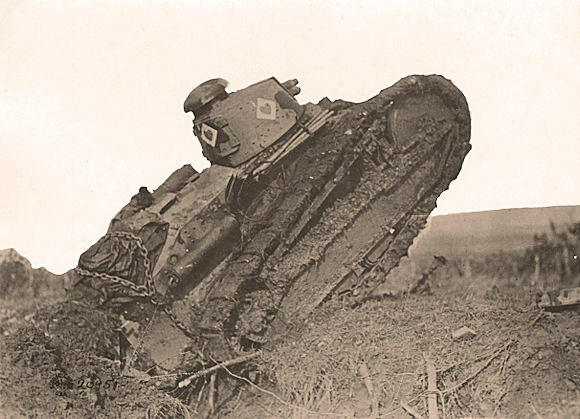 The units left to occupy the sector for the next two months were treated to the full delights of trench warfare, especially bombardments with explosives and gas, as the enemy dug in along his partially prepared "Michel Zone" of defenses. While his army was fighting in the Argonne, though, General Pershing kept up his planning for exploiting the St. Mihiel Salient. He reorganized his forces and created the Second U.S. Army to fight in the ground before Metz. Eventually, Generalissimo Foch was won over to the concept of exploiting the area of the now-reduced salient for a major advance, but one broader than what Pershing had been thinking of in September. Information on ordering the full work HERE. Nice entry. I cross posted it on my own blog and on reddit's 100 years ago today subreddit, fwiw. Appreciated the closer documentation of the Drive.